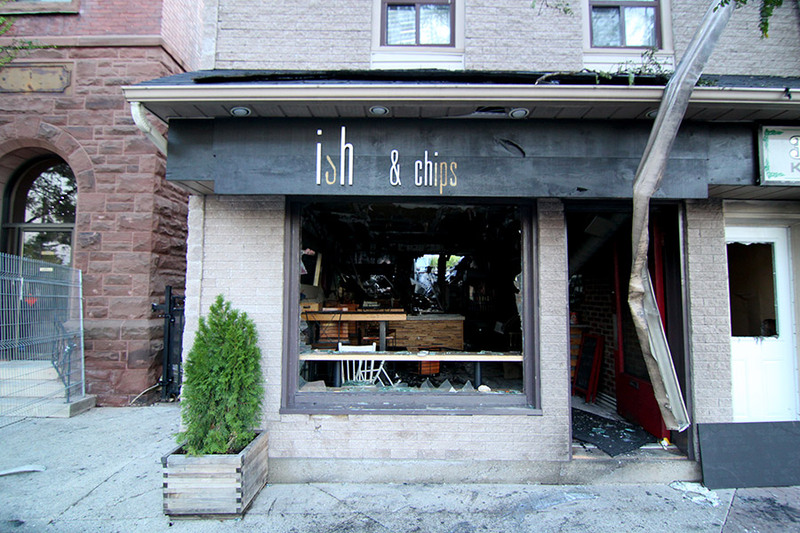 Ish on hiatus… Fire at 37 King St.
We’re saddened to say that Ish and Chips has sustained heavy damage and will be closed for the unforeseeable future due to a major fire in our building. We would like to say a big thank you to all of our amazing fans and patrons of our little restaurant for all the wonderful experiences past and present support in our difficult time. We hope we can bounce back and reopen sooner than later, the last 2 years of being in the Uptown have been an absolute blast. Coincidentally, the day of the fire we were also nominated for Best Fish & Chips in the Kitchener Record’s Reader Select Awards… for that, we thank you as well. Thank you everyone once again, your support means a lot to us!